For my last “real” summer in what would be quite a while, I knew that I wanted to do a global health trip/medical placement abroad. I had done my fair share of research before coming to medical school so I knew that I didn’t want to research this last summer. I’ve always loved to travel so I decided to do a medical trip abroad and gain some experience and learn new things. Choosing who to do my placement with and where was one of the hardest decisions I had to make. There were so many companies out there and I had no clue who to go with. In the end I chose Work the World because of the testimonials from other students written on their website (much like the one you are reading now!). When I first arrived in Kathmandu I thought that I had gotten into something way over my head. I don’t think anyone can prepare you for the scene that you find outside of the Kathmandu airport. I came close to reconsidering my trip and going back to the states. However, once I made it to Pokhara, I knew that I made the right decision to stay in Nepal. What made coming to Pokhara even better was being greeted by all the other Work the World students when I first came into the house. I felt like I was being welcomed with open arms and that everyone in the house wanted me to feel as comfortable as possible. That’s what was so great about the Work the World program. All students live in the same house and get to know each other really well, so we become a little family of our own. 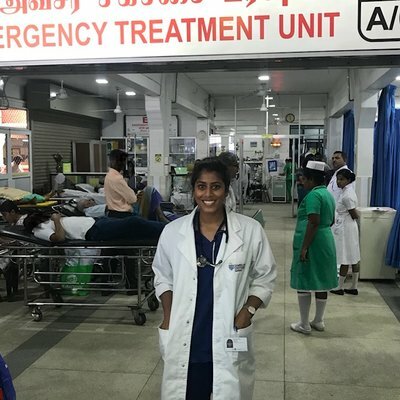 I met other medical students while on my placement who were not with Work the World and they were just staying in hotels, which I think takes away from the experience. It was nice coming home to a house of other students and sharing our experiences from the day and everyone sitting down and having dinner with each other. I was able to teach them about my osteopathic medical techniques that I learned in school that they had not heard about. I spent three weeks in the orthopedic department at the government hospital in Pokhara. When I first walked into the hospital, it definitely shocked me. I did not expect what I saw, but I knew it wouldn’t be like hospitals back home. However, by the end of my placement I felt at home in my department and didn’t want to leave. Going into this placement I knew that I may not get as much out of it as other students may have seeing as I am still preclinical. This was not the case at all. I had great doctors who were always willing to teach me or point something out to me that I may not know. I really appreciated this because I know my experience would have been much different had this not happened. I formed close relationships with two of the doctors in my department and would always look for them if I ever wanted to go over a patient case after rounds more in depth. One word of advice is to be patient with the doctors. They are willing to teach you, you just have to allow them to get through rounds and then ask the questions you want about a patient because chances are they will go back to the patient’s bed and go through his or her whole case with you. A typical day for me was to come in and go on rounds with the doctors and then go to outpatient clinic for the rest of the day. 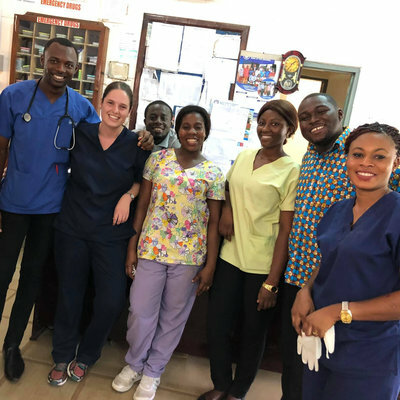 In outpatient it was a little more difficult to learn as much because over 150 patients are seen within a four hour time frame by two doctors so the patients are moved in and out quickly! I did learn things while in outpatient, but it couldn’t be as interactive as it is after rounds. I was also able to teach the doctors some of the things that I know. I am studying as a doctor of osteopathy and there are certain conditions, for example frozen shoulder, where we have certain osteopathic manipulative techniques that can be used to help with the condition. I was able to teach them about my osteopathic medical techniques that I learned in school that they had not heard about. My favorite days by far were operating theater days. I was in a bit of shock on my first operating theater day. The theaters are not air conditioned with the exception of two, one of which is reserved for C-section cases, so it took some getting used to a hot operating theater. I know on my first day I had to step out of one of the surgeries I was observing because I was afraid that I may pass out. Most of the time in the operating theater I was observing the surgeons and being quizzed on which muscle is this and what nerve are we looking for here. However, my last operating theater day I was asked by one of the doctors whom I had grown close to if I wanted to assist him in the surgery. This would be my first, first assist which made me ecstatic. Although it wasn’t a complicated surgery (we were removing a gangrenous calcified mass from a patient’s ankle), it was the happiest I had ever been in an operating theater because I was allowed to help. My first, first assist was by far one of the standout moments for me during my time in Nepal. Another thing I can’t stress enough is to go to the language lessons organised by Work the World and use the language in the hospital. The patients and their families were so happy when I could just ask them how they were or how they were feeling. It made me happy just to see how happy they were that I was paying attention to them. The Nepali I learned also came in very handy in the clinic. We were taught body parts and how to say if something hurts and just from listening to the patient I could pick up enough to understand what the chief complaint was. The Nepali lessons were fun and I learned a lot in the three weeks I was there. All the staff in the Work the World house are amazing, so friendly and you can ask them any questions. I felt that the staff made the transition and getting settled into the house and the city of Pokhara much easier for me. 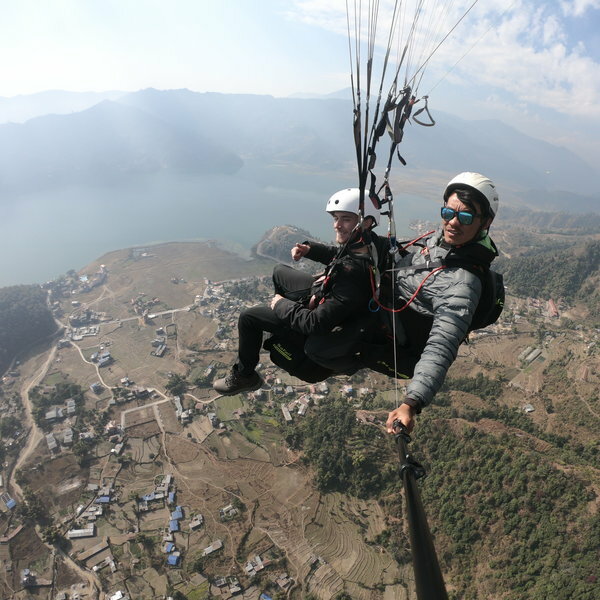 The staff were so willing to help and even helped out with deciding on places to visit and things to do either in Pokhara or the surrounding areas. Take advantage of Depak’s food while you are in the house. He is an amazing cook and you will never go hungry with him cooking. My first Sunday in the house, I got the best surprise from Depak of homemade bread and cinnamon rolls, which were amazing. Believe me the food is amazing and you’ll be sad when you leave. I would definitely also suggest to make sure you leave time to do exploring and weekend trips so you can make the most of your experience. I was able to go to Chitwan National Park, which was an amazing experience. Chitwan is where you can do various activities such as an elephant safari. My other weekend in Nepal I attended the patty planting festival, which celebrates the rice harvest. This festival gives locals and tourists the excuse to play around in the mud! The festival was great because we don’t have anything like this back home and gave you a real insight into Nepali traditions. One quick day excursion that I did was the hike up to the Peace Pagoda in the middle of Phewa Lake. The pagoda itself and the view you get from it of the city are amazing and I would recommend this hike. I did not do a trek of any range of the Himalayas, but I had friends that did it. If hiking is not something you want to do you can get a good view of the mountains from the roof of the house (make sure you get up to the roof early enough in the morning) or paragliding is another good way to see the mountains. Definitely make sure to give yourself time away from the hospital so you can take advantage of what Nepal has to offer. Overall my trip was amazing and I couldn’t have asked for a better experience. At the end of my time all I wanted was more time in Nepal and with the department in my hospital. I promise that you will not want to leave when your time is up.